We all know that create a company is not easy. You need passion, devotion and energy! At Hart & Soul, we absolutely love to see and try new inspiring products. Especially when like us, they pride themselves on delivering goodness and happiness straight to your plate! Finding spices that are natural and also full of nutrition is a rarity. That’s why the two gorgeous ladies from Souk Spice decided to keep up the work their dad had achieved for over 30 years and bring to your kitchen a little gem made from 18 different spices and herbs carefully selected through their travels. Their blends are inspired by authentic flavours meaning that the mixes will not only be a culinary adventure, but will also nourish your soul with the goodness of real herbs who make eating healthily just easy. The ancient traditions have long been show the effectiveness of the antioxidants, minerals, vitamins and essential oils present in these herbs and spices. They have enhanced human wellness for centuries. In Arabic, “SOUK” means market. This little packet full of flavours is like being in the streets of Marrakech and discover the beauty of the tastiness of North Africa cooking. This delicious and unique blend of Spices and herbs will definitely make your cooking easier. “It will enrich your dishes and be enjoyed by the very young and the young at heart.” Use this superfood as a boost in your morning eggs or in your tomato sauce for a sumptuous Bolognese dish! 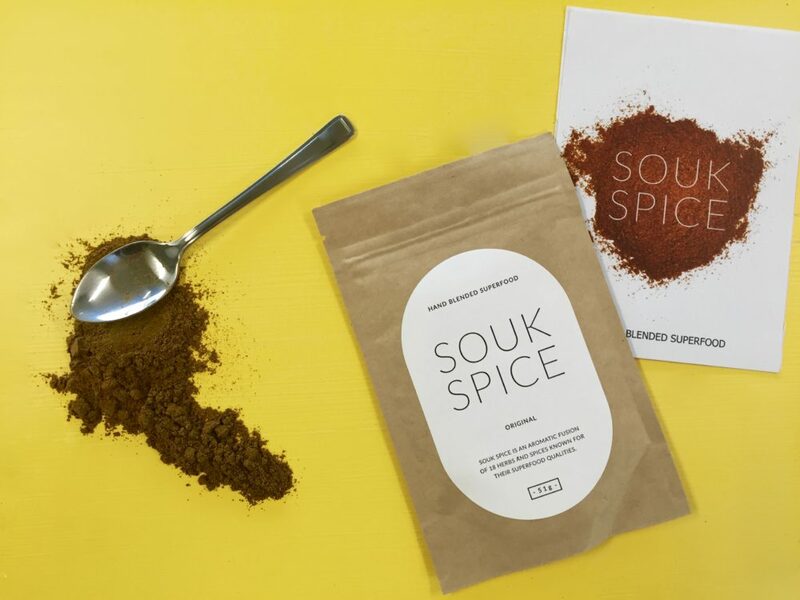 So do yourself a favour and jump on Souk Spice’s website to get a hit of antioxidants and some recipe’s ideas! Even better as a an addition to one of the Hart & Soul creations! !